The impending tightening of monetary policy, the economist says, will be "the loosest tightening in the modern history of central banking." Mohamed El-Erian, chief economic advisor at Allianz, said early Thursday that he thinks the Federal Reserve likely will raise rates in September. In addition to laying out the global context for a probable Fed rate hike, he also noted specific U.S.-based reasons for such a move. “For a while, the U.S. was willing to stand on the sidelines and let the dollar appreciate,” El-Erian explained. When the dollar got to about $1.05 vs. the euro, though, “sentiment changed as U.S. companies began reporting difficulties” due to the dollar’s appreciation. In other words, it won’t be the usual experience of rate hikes. “In sum, it will be the loosest tightening in the modern history of central banking,” the economist said. 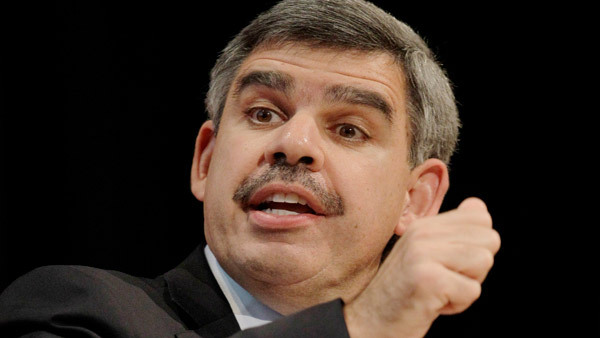 — Check out El-Erian: American Dream Is Under Threat on ThinkAdvisor.